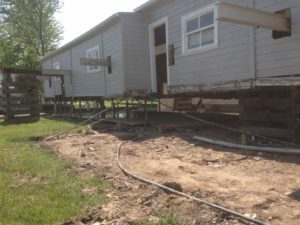 House raising involves the process of separating a house from its foundation and temporarily raising it with methods such as hydraulic screw jacks. Depending on the structure itself and the purpose of raising the house, it could be raised as low as 6 inches or more than 12 feet. This process is not just limited to homes, but also used for commercial buildings, barns, boat houses and other types of buildings and structures. Many times a home must be raised due to unforeseen structural damage, settling or foundation issues. 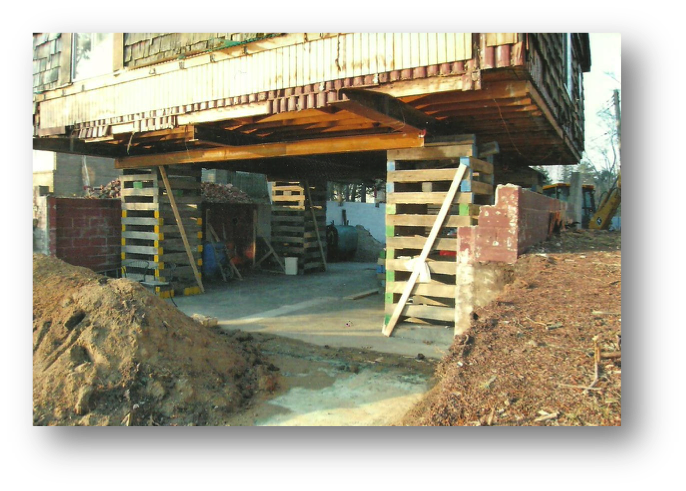 Is some cases, the home must be raised in order to repair or completely replace the foundation. Depending on the home’s condition, repairing certain types of foundation work is best done when the home can be raised. It’s not uncommon to live in a home and neighborhood that you love but just need more space. House Raising can help accommodate that by adding a second level. Instead of building out into your property, it might be a better option to build up. With home raising, you can add a new full basement, increase the height of an existing basement or even add a crawl space. Some homeowners who live near fresh or low-bank waters decide to use house raising or house moving in order to avoid flooding issues. Sometimes homeowners take this step after a flooding incident has already occurred, but some raise their home as a preventative measure before the damage occurs. How to Raise a Home? House Raising is a very specialized contractor trade and should be reserved for the professionals with experience in this area. Instead of hiring any contractor off the street, it’s best to hire a construction company that actually specializes in house raising and structure raising as their trade. Ultimate Contracting Corp is a full-service House Raising Contractor serving the entire Southeast Michigan region – Macomb County, St. Clair County, Oakland County, Wayne County, Sanilac County and more. If you’re looking for a company to raise your structure, then feel free to give us a call at (810) 794-2232 for a free estimate.